There are quite a good number of presenters on radio and television who listeners and viewers may never wish to miss any of their shows because of their sensational golden voice, beauty or the special way or artistry they anchor their shows. Jillian Mele is one of such. 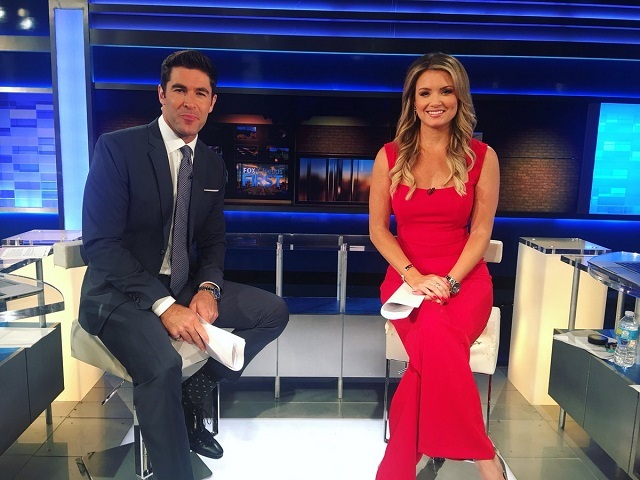 She has been at the top of her game as a presenter, from WAGM-TV and so many media outfits before settling at Fox where she currently anchors Fox & Friends to the admiration of her numerous viewers including President Donald Trump. Find out more about what makes her special, including what she has achieved in her career thus far and whose wife she is. On September 17, 1982, she was born and named Jillian Bridget Mele in Philadelphia, Pennsylvania, the United States of America to Roseann Zlemek (mother) and Thomas Mele (father). Jillian is the only daughter of the three children born by her parents. While growing up, she was a good dancer and played golf too. Jillian attended La Salle University where her major was in Art and Communication. She graduated with a degree in Communication in 2005 at the prime age of 23. Subsequently, she furthered her education for two years at the University of Scranton where she majored in Communication as well. Following her graduation, Mele did her intern at Comcast Sports Net in Philadelphia where she mastered the rudiments of presenting especially in sports she garnered during her internship, she got her first job as a journalist for WAGGM-TV, after excelling and performing above expectations in her first job, she became a freelancer, co-hosting evening news at Binghamton and also corresponding for WIVT. With the exposures and experiences she had garnered over the years, Jillian was hired by NBC 10 in October of 2007 where she worked as the sports presenter and earned her first Emmy Award in 2014 for her reportage during the NBC 10 Olympics Special. Her next place of work was at CSN (Comcast Sports Net) which was later named NBC Sports Philadelphia where she earned her second Emmy Award, thanks to her excellent job on Breakfast on Board Show. Jillian Mele has a very unique style of coverage and reportage that made her not to specialize only in sports-related coverage which was actually where her career began from. Her versatility was proven during her local news reports; she also was very excellent when she covered major news events like the destructive floods of June 2007 as well as the traffic reports during her days at NBC 10. This special talent of hers didn’t go unnoticed as FOX monitored her career progression till they came asking for her services in April of 2017. She started out working for FOX news by covering sports events, reporting and as well as anchoring local news. In doing this diligently, Jillian earned a promotion to co-host the show Fox and Friend alongside Rob Schmitt. 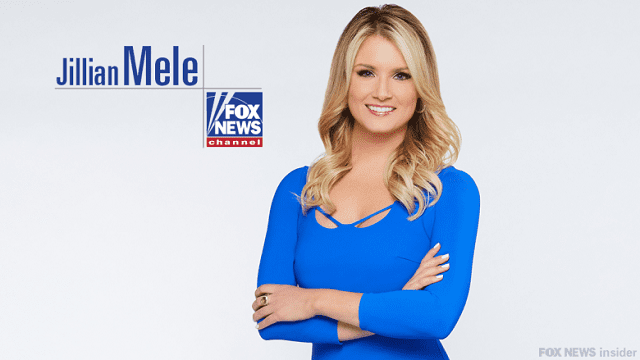 She anchors Fox & Friends weekdays from 6 AM to 9 AM ET. The show mostly centers on conservative political analysis. Her expertise has brought in a lot of accolades from the show’s numerous viewers including the United States President, Donald Trump. The inspiration behind most of Trump’s tweet is said to be from the show which he has made his favorite morning show. However, Fox & Friends has been criticized by the opposing Republican Party, who do not relate with some of the views expressed nor with the party’s policies. Read Also: Eboni Williams Husband, Parents, Measurement, Age, Where Is She Now? A successful journalist and presenter who is gifted in all ramifications like Jillian Mele should have a man in her life either as a husband, boyfriend or an admirer. The media guru in contrast to this keeps her private life very secret and away from the media. From the information gathered about her, she does not have a husband yet, but she has a boyfriend whom she always tweets about without mentioning his name. One thing she has however always made public is that the dude is from Boston; what he does or what he looks like remains a big nut to crack for her fans. She commands a height of 5 ft 6 inches (1.69m) with a moderate weight of 59 kg (130 lbs). It is reported that the media personality earns an annual salary pegged at $71,000. Her net worth is estimated at $950,000. Looking at the years she has spent in the media, her earnings could be more. Besides her TV job, Jillian Mele also hosts events outside the station; one of such events she has hosted is the 2018 Eagles’ Super Bowl parade in Philadelphia. Jillian flaunts her dog in her Instagram posts, a dog which according to her is more than fifteen years. Her pet is a Corgi named Tyler.